The very first reason of testing MBA aspirants on Integrated Reasoning (IR) is analysis of Data! B-schools need to know how good the applicant is in real life data analysis say with regards to chart, graphs or more specifically math-verbal integration. Initially, the IR section did not meet with widespread approval from schools and its relevance was somewhat underestimated. But after 3 years of its induction into the GMAT, IR has made an impact, and now a good IR score definitely lifts your profile! The IR Section is the second section of the test and comprises of 12 data intensive questions to be dealt in 30 minutes! That’s a lot of time pressure. 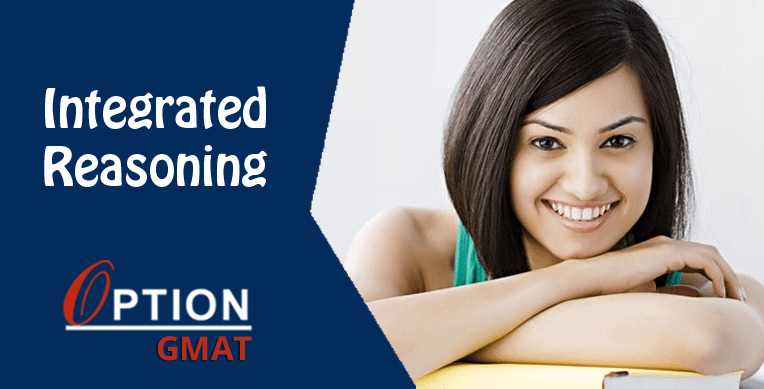 Now, a key role of IR section in GMAT is its position. This section is after the essay section, just when you are a bit tired after writing for 30 minutes and have now to deal with intense real life data with at least one question in 12 prompts. The ideal way to deal with this time pressure scenario is to practice. And believe me there is no alternative for practicing minimum 4 full length GMAT tests prior to your D-day! Use a calculator: At times IR demands calculations of big numbers within 10-20% of the right answers. There are times when approximations take more time to solve than actual calculator, and there is no shame in doing so. When you are provided a calculator, use it! Ignoring extra data: Apart from testing your skills in interpreting data, IR also drains your brain before the Quant section (this is probably to check the pressure handling situation of the candidate). Don’t get surprised to see totally unnecessary charts or graphs in your IR section. Learn the fine art of differentiating between what is worthy of attention and what is to be overlooked as unecessary. Read between the lines: In the IR section, you have to make inferences from subtly worded real life communications, such as email exchanges, dialogues and paper advertisements. Practice such questions specifically from IR tool at mba.com so that you are familiar with the exact nature of the language of the content you will get. One question at a time: Please avoid carrying the burden of the previous question. You will be dealing with quite a lot data and in order to make the right choices you need to focus on the question at hand, irrespective of it being an easy or difficult question. IR is not Adaptive: It is important to be aware that IR is not adaptive; so it does not matter how well/bad you have performed in your previous question, just make the best out of the question in front of you. Happy testing! Give the IR its due importance and practice it as often as you do the Verbal and the Math in order to sharpen your overall test taking skills .